The Army has made great strides in their quality of life programs (barracks, family housing, on-base shopping and services, and recreation) since 9/11. While progress is occuring, there are many bases all over the world to update. One thing that is smart to consider before joining the military (Army specifically) is to do your research as to what job you want. Pick a job that you are interested in and then research. You have to research everything about it. For instance, if you want to be an Army Ranger, you should be learning about that job, the training that is required, fitness tests, schools you need to attend prior, and where you will be living. For instance, if you want to be a Ranger, you will be attending Basic Military Training at Fort Benning, GA.
All of your follow on training will also be located there. Advanced Individual Training, Airborne School, Ranger Prep Course, and Ranger Assessment and Selection. You will be living in Georgia for all of this training. However, after training, you could be stationed in the 75 Ranger Regiment and live either there in Georgia or Washington State. So now you know where you could be living. Do more research - what is the base like? Is the base updated? In a nice city and surrounding area? All of these questions can be answered prior to joining and if you care about the quality of life you will have at work and recreationally, you should learn this information. See this list of bases for up to date information. While Soldiers at several bases are still living in barracks which were built during World War II and the Korean War, the Army is working on building new barracks buildings. The new barracks, called "1 +1," provide each soldier with a private bedroom. Two junior enlisted Soldiers share a common kitchenette and bath in a two-bedroom suite, hence the "1+1" label. Senior enlisted Soldiers have a private suite including a separate furnished living room, under the new design. All Soldiers -- Army-wide -- are expected to be housed in the new barracks design by the year 2012. 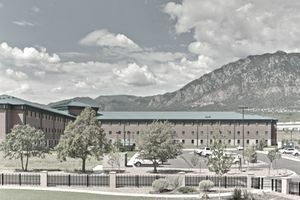 Dozens of projects for new 1+1 barracks and renovation of existing barracks, exceeding $1 billion, are currently in design or under construction. Unmarried Soldiers in the rank of E-6 and above are usually allowed to live off base, and receive a monetary housing allowance, called BAH. At some bases, this privilege is extended to those in the rank of E-5. Like the other services, the Army is aggressively converting existing on-base family housing to "military privatized housing." Under this concept, civilian companies are encouraged to construct, maintain, and manage military-only housing complexes on and close to military bases. The Army program is called “Residential Community Initiative.” Currently, the Army RCI program is comprised of 45 installations (combined into 35 projects); over 88,000 homes - 99% of Army's family housing inventory in the U.S. To date, 35 installations (77,000 homes) have been privatized, 10 more (11,000 homes) are in solicitation or under development. At most bases, married Soldiers are given a choice of living in family housing, or living off base at a place of their choosing, with a monthly housing allowance. Soldiers who are authorized to live off base at government expense, and those who live in family housing receive a monthly food allowance, called BAS. Those who live in the barracks do not normally receive this allowance, but eat their meals for free in the on-base dining facilities (chow halls). The food is also improving in the past decade as well. The Army has revamped the way is delivers meals to the soldiers. Similar to the way colleges and universities across the country have managed to meet the needs of thousands of students and faculty, the Army has determined the soldiers could benefit from a similar model. Not only cafeteria style, but kiosks, private food vendors can also be part of the equation. Similarly, military chow halls are trying to curb obesity in the ranks by going with fresh foods primarily, frying foods less, and fewer processed meats, sweets, and sodas. Getting better also means getting healthier. Army MWR - Check into the base MWR program and find as many things out about the fun things to do in and outside of the Army Garrison. From group trips, equipment rentals, great deals on travel, family programs and more, Army MWR can definitely put the quality of life back into your life. Want to read more about the pros and cons of choosing the Army?